Even though truancy is not a crime in Minnesota, Klobuchar frequently called truancy a “gateway to crime” or even “the kindergarten of crime;” in a 2004 op-ed, she urged readers to call the police if they saw truant children out during the day. 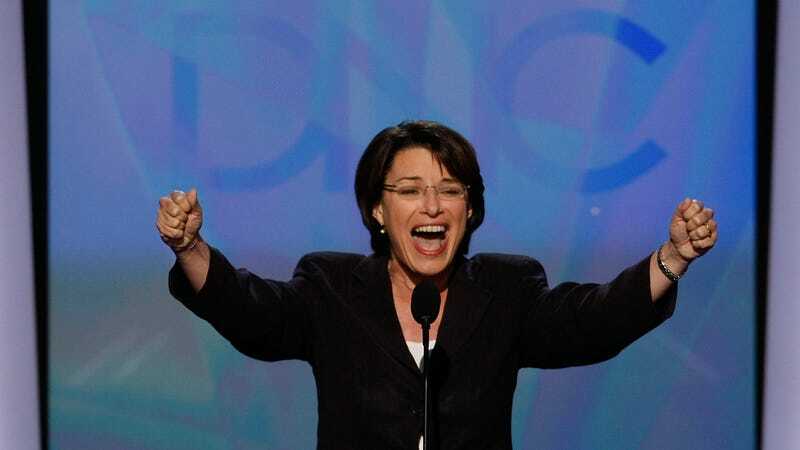 In the 1999-2000 school year, Klobuchar’s first on the job, her office received just over 1,300 truancy referrals from county school districts. In a 2003 report, the county attorney office stated that it received roughly 1,600 referrals annually. Most referrals resulted in a student and their parent or guardian being required to appear in court. A 2003 report from Klobuchar’s office explained that a truant student and/or their parent could face a range of punishments. “For a student who is judged truant, sanctions can range from community service or work squad duty to fines or driver’s license suspension to, in rare cases, out-of-home placement,” read the paper. Klobuchar backed a policy championed by then-Gov. Tim Pawlenty (R) to make a student’s attendance record a factor in whether or not they receive a driver’s license. A September 2004 story from the AP reported that Klobuchar’s office used the policy to suspend or deny licenses to truants on 200 occasions that year. And while some schools noticed a drop in truancy rates, overall the numbers were negligible: 8.5 percent of students in Minneapolis Public Schools were chronically absent in the 1999-2000 school year. By the 2005-2006 school year, just prior to Klobuchar’s election to the Senate, 7.5 precent of students were chronically absent. Klobuchar now espouses support for criminal justice reform, and politicians views change. But much like Harris, who has also embraced criminal justice reform, Klobuchar’s record raises questions about how holistically they see that project and how far they’ve actually come since believing legal threats are the best solution to an issue like truancy.